Site was Last modified: June 03 2018. 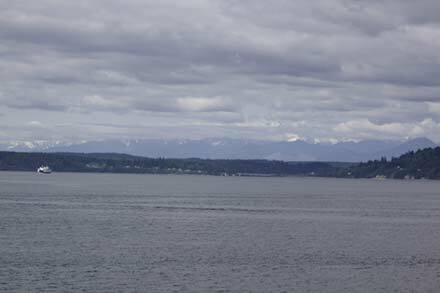 We left Seattle to catch the ferry to the Olympic Peninsula. Because this was a Sunday Morning, there was not much traffic on the ferry. We got off the ferry and headed for Olympic National Park. 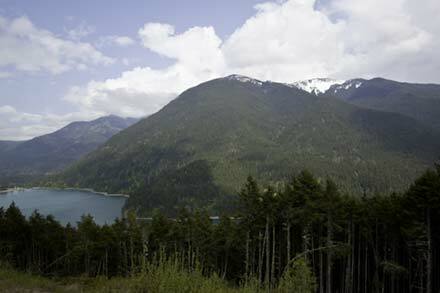 Most of Olympic National Park is roadless wilderness. So there is not a lot of the park that can be reached by car. However, there is a lot to see if you're willing to take several short walks--rain forests, waterfalls, streams, and beaches- for example. Our first top in Olympic National Park was Madison Falls. 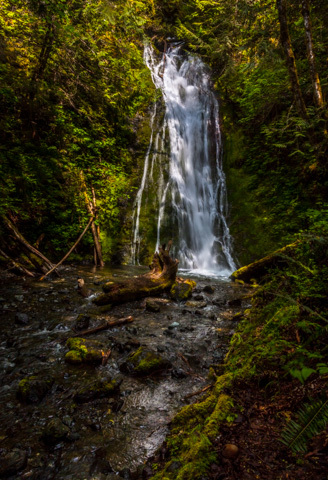 The falls in located in the Elwha River section of the park. It is a very short easy hike from the parking lot to the falls. The falls is on Madison Creek. After the creek passes over the falls, it runs a short way to the Elwha River. After we finished exploring the area around the falls, we drove up the Olympic Hot Springs Road to the Glines Canyon Dam and then continued on to the end of the road to get a good view of Lake Mills. The Glines Canyon Dam is scheduled to be removed as part of the Elwha River restoration project. When the Glines Canyon and Elwha dams are removed, Lake Mills will be gone and the river will become a free flowing stream. 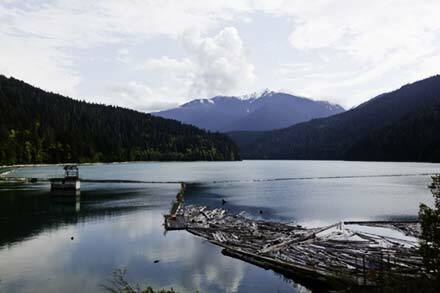 This will open 70 miles of prime salmon spawning habitat, much of it in Olympic National Park. The restoration project is expected to take three years. 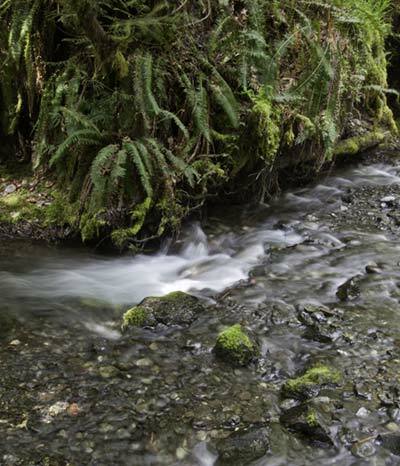 You can find more information about the project at Elwha Restoration. The lake is a pretty lake with the mountains in the background. After we explored the area around the falls and the lake, we drove to the Sol Duc Hot Springs where we spent the night. Travels with Nessie Home :: Site Map:: Contact webmaster@ncsparks.com-email us:: Copyright Leslie Sparks 2006, 2007, 2008, 2009, 2010, 2011, 2012,2013,2019:: Last modified: June 03 2018.